Can you summarise your business and what you do? We offer a design and build service to provide a full turn-key solution for poultry house construction; this includes all elements of Health & Safety and Project Management. We are based in Lincolnshire but operate nationwide with a workforce of over 60 employees. How long since the business started and how has poultry building design changed during that period? The business was established in 1971; developing from a small local joinery firm to a poultry construction specialist. Over the years we have seen a number of changes; in recent years we have seen a much higher percentage of clients opting for a clear span frame building versus the typical timber structure. There have been substantial technological advances in equipment and materials which we have actively incorporated in to our designs. We have also seen a greater emphasis on designing for bio-security as well as additional methods for bird welfare. What have you learnt as a business during that period that’s enabled you to change and build better poultry housing? 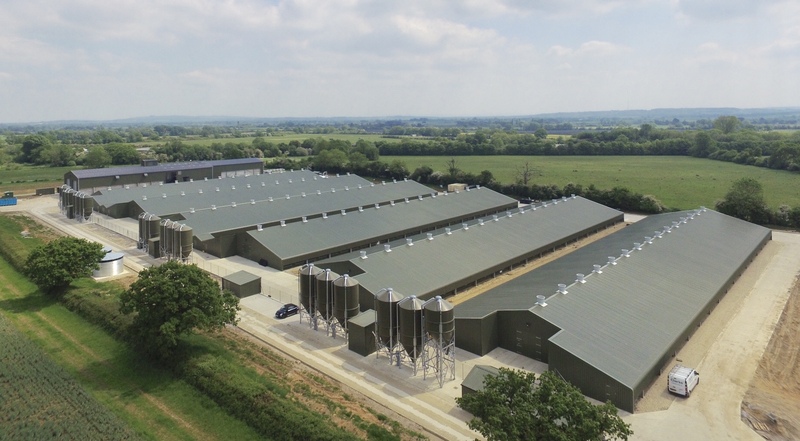 We have project managed and completed an extensive number of poultry projects over the years – each bringing to light their own challenges, however, in so doing it has provided us with the opportunity to learn and develop as a company. We have also recently partnered with Poultry Health Services giving us a greater insight in to the ever-changing requirements for bio-security compliance. This is putting us a step ahead the competition when creating our latest designs. What frustrations do you have with how the industry is perceived? If you were in charge what would you change? There seems to be a mis-conception in general of how live poultry farms operate. It would be beneficial to educate both the planners and the public to give them a better understanding of how un-invasive the farms truly are. At present this is being partially addressed by incorporating viewing galleries in to the poultry houses. The biggest opportunity at present for the industry is a growing call for British reared meat, as well as the continued sustainable growth and investment to the sector. As with all farming sectors there is the possibility of a downturn however we feel very positive in our position moving forward. We hope that mainstream construction regulations will become a requirement across the sector; meaning that all Contractors will have to adhere to the same guidelines. This will not only level the playing field across Contractors but also offer the client the best possible construction package.